Ariocarpus is one of the succulent plants in the group commonly referred to as a Living Rock. It can survive without water for up to a year. Even though a plant like that seems foolproof, there are many things you can do to improve its health. Soil: You should plant your Ariocarpus in soil specifically formulated for cacti. You can buy cactus mix at your local nursery. Do not use generic soil mixes, because they will not provide enough aeration and drainage. Additionally, using a container without a hole, whether it is a pot or a terrarium, is a bad idea for the same reason. Light: Ariocarpus need a lot of sun. However, in hot, dry areas, they can be damaged by excessive sunlight, so you should either use a shadecloth to limit their sun, or move them out of the sun during the hottest hours of the day. In more temperate areas, direct sunlight is fine. 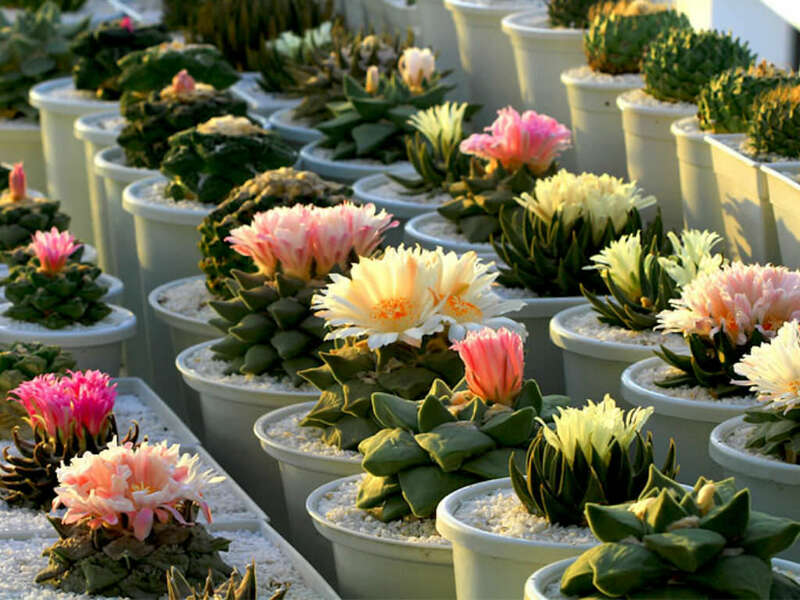 Temperature: Ariocarpus plants prefer to be kept at room temperature or slightly lower, and in low humidity. Water: Water your Ariocarpus when it is dry, but then wait until the soil dries out completely to water it again. The amount of time this takes will vary depending on your climate, and the size of your pot if you use one. Remember, when dealing with any kind of cactus, watering too often is much worse than not watering enough. Do not water during winter. As your Ariocarpus outgrows its containers, you will need to transplant it. If you are raising your plant from a seed or cutting, you should wait at least two years before moving it to a larger pot; moving it sooner could be unhealthy. Overall, it is best to wait until your Ariocarpus grows as wide as your pot. Wait for the soil to dry out, then remove your plant as gently as possible and remove all of the soil that you can. Next, cut off the tip of the main root – this will encourage the growth of new, smaller roots that actually take in more nutrients. Putting an open, wet cut into the dirt can attract fungus, so allow it to dry out before planting your Ariocarpus again. Now it’s time to get your Ariocarpus back into its pot. The easiest way to plant it, rather than struggling to put in the soil while balancing your plant in the center, is to roll up a newspaper into a cylinder and make a temporary pot. You can wrap it around your plant, and fill it with soil, then once you are finished, put the whole thing into your real pot. Ariocarpus can be grown from seeds, transplanted from cuttings, or transplanted with bare roots. Either way, plant your Ariocarpus in the spring. For a cutting, allow the end to dry out before planting it in moist cactus mix. Keep the soil slightly moist and mist the cutting regularly. For a seed, plant it and cover with a layer of sand. Either way, you will want to avoid using too much water on your Ariocarpus. Additionally, you should keep it out of direct sunlight completely until it grows.